There are lots of times holiday recipes just get to complex and difficult. 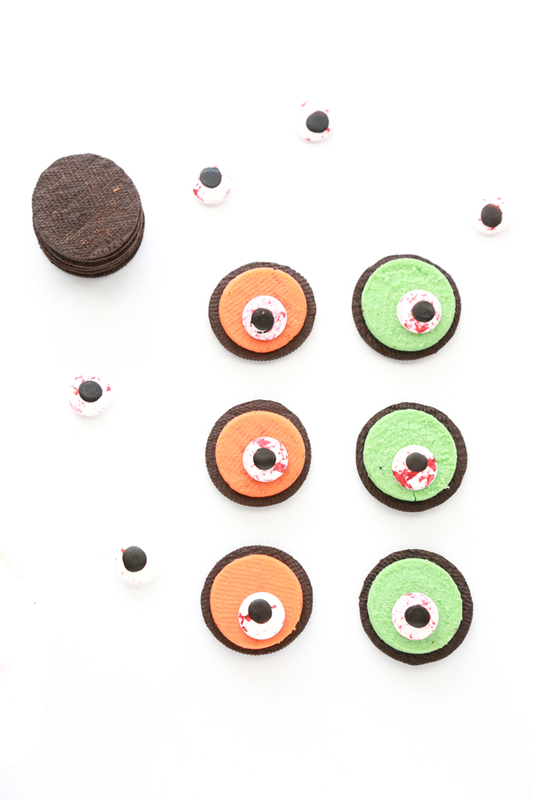 These Zombie Eye Oreo Cookies are neither. 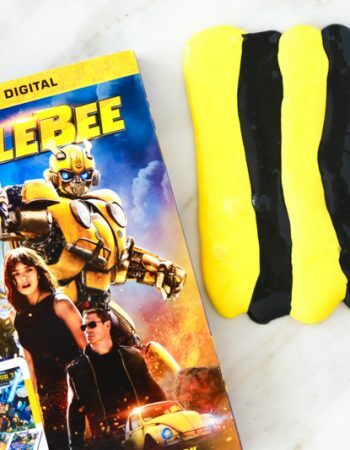 They’re so easy to make and they’ll definitely be the hit at your Halloween parties. 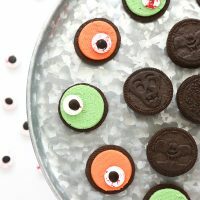 Over the years I’ve shared some really fun + simple Halloween treats, but these Zombie Eye Oreo Cookies are the easiest yet. 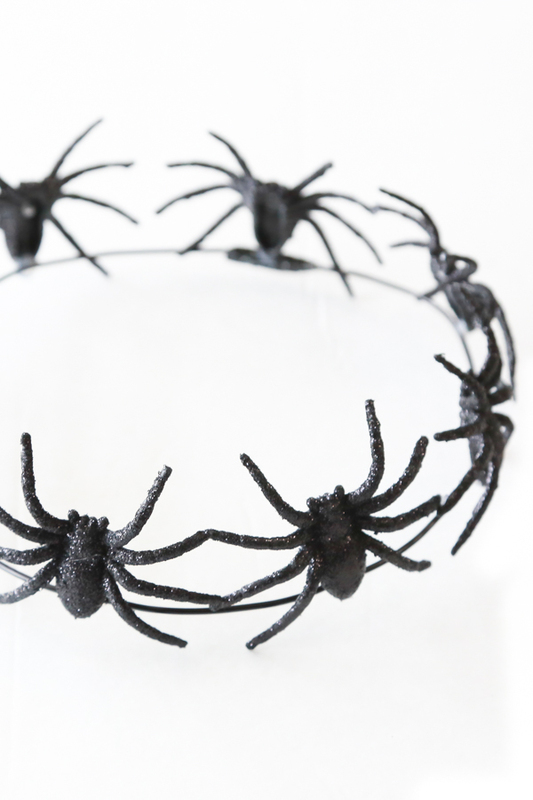 This simple no-bake Halloween recipe is perfect for any of your Halloween celebrations. I know that life is so busy and time is incredibly limited. 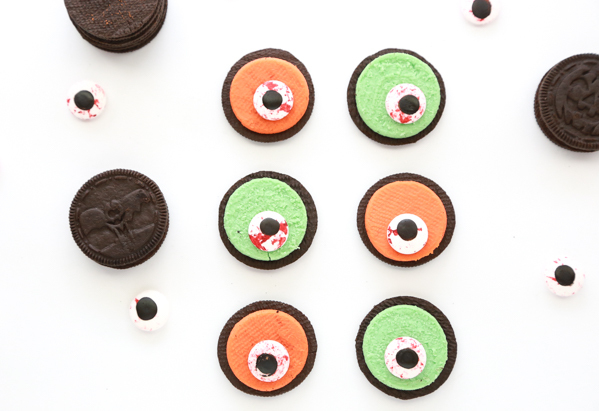 But y’all, if you have a total of 5 minutes to spare, you have all the time you need to make these Halloween Oreo cookies. 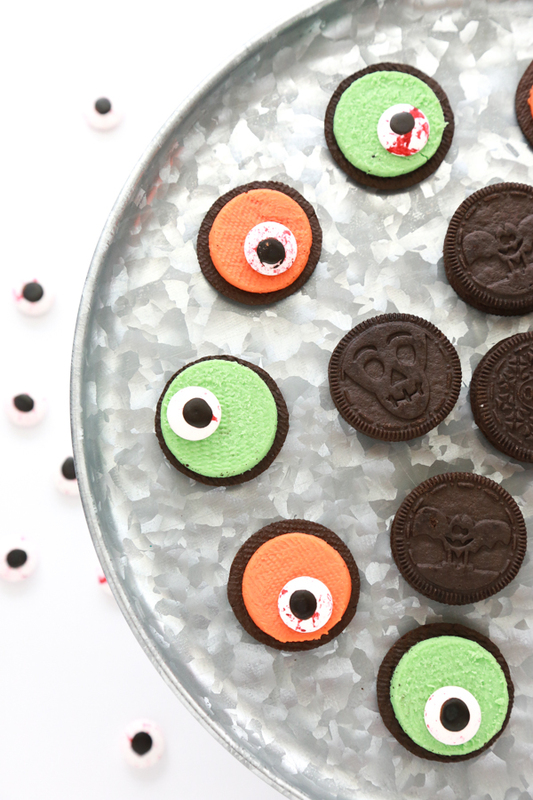 During October you can find the perfect Oreo cookies for this recipe. I used the mint creme (green) and some limited edition Halloween cookies. I love the way they turned out with the different colors. But even if you couldn’t find either of those colors, I think most colors would work. 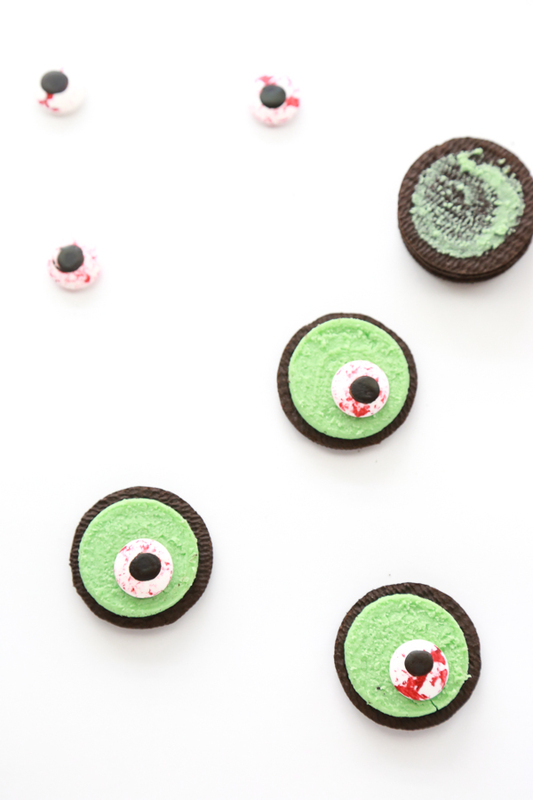 It’s the candy eyeball that really makes these cookies super spooky. 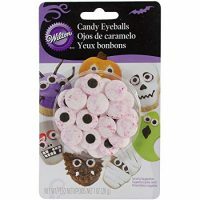 Note: If you can’t find the red-veined candy eyeballs, the regular candy eyeballs will work. 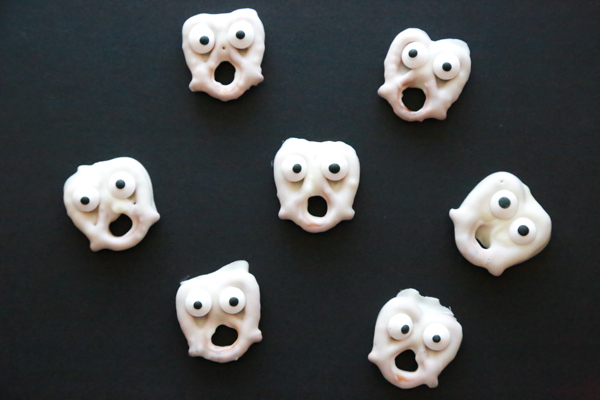 The Halloween cookies just won’t look as spooky. When I say this recipe is really easy, I’m not lying y’all. All you need is two ingredients. 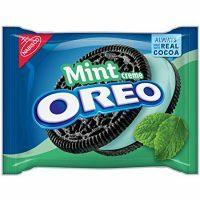 Oreo Cookies – I used Mint Creme for green and limited edition Halloween for orange. 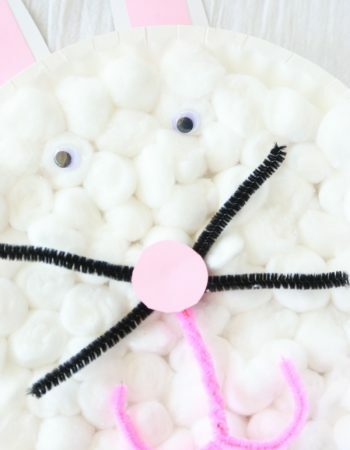 Candy Eyeballs – If you can’t find these, then these will work. 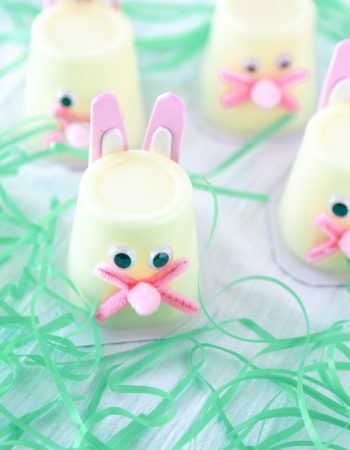 I really feel kind of silly even making this a recipe because as I’m sure you can see from the photos, these are so easy to make. But I’m going to anyway. Feel free to scroll to the bottom of this post for a printable recipe card. Are y’all ready for this? 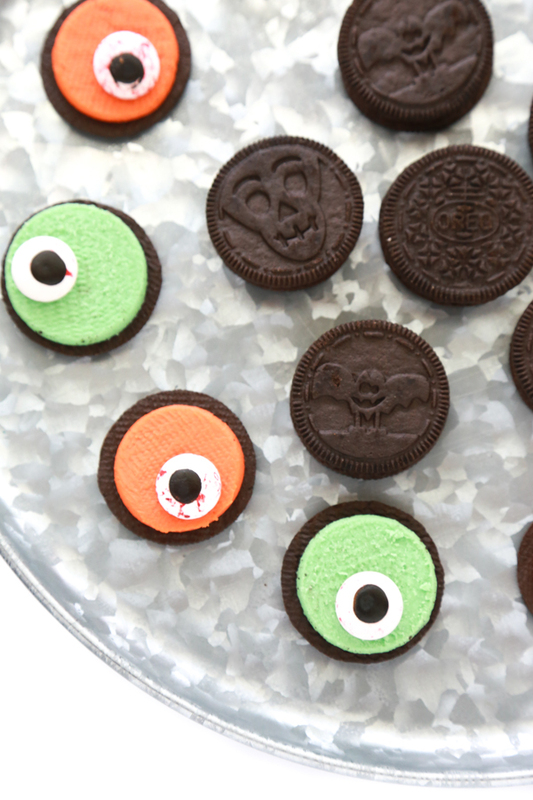 The ease of these no-bake Halloween cookies is going to blow your mind. 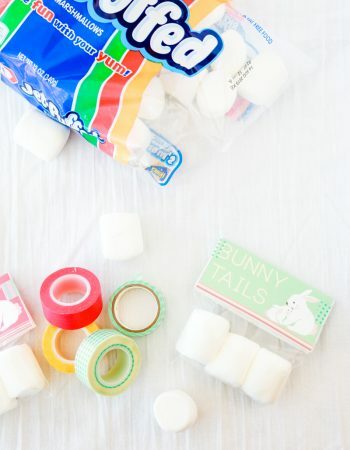 Remove one side off of each Oreo cookie and set aside to use for something else. I suggest getting a glass of milk and just dunking and eating as you go, but that’s probably not the healthiest option. 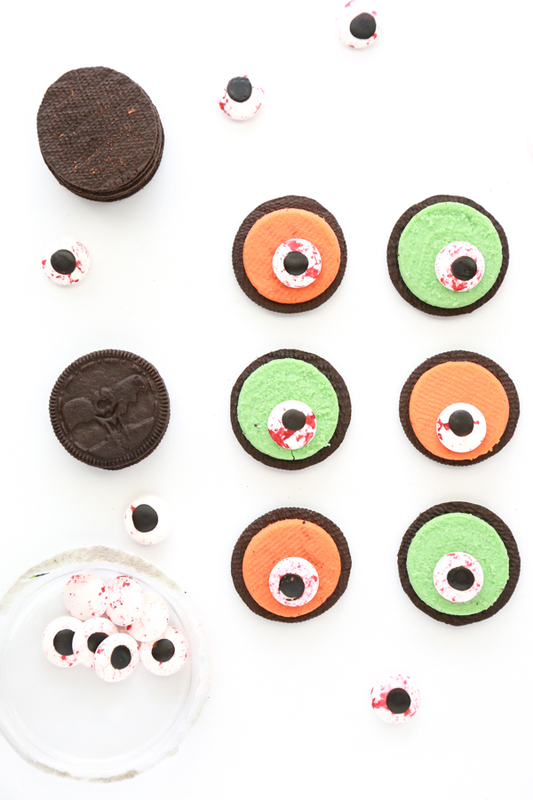 Then, take a candy eyeball and place on the Oreo creme and press down slightly. Once you press down the eyeball will stay in place. 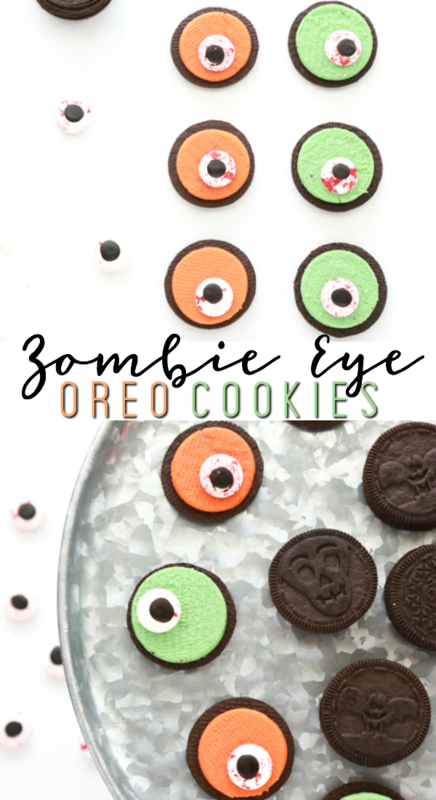 If for some reason it doesn’t, you can put a small dab of icing on the back of the eyeballs before placing them on the Oreo. 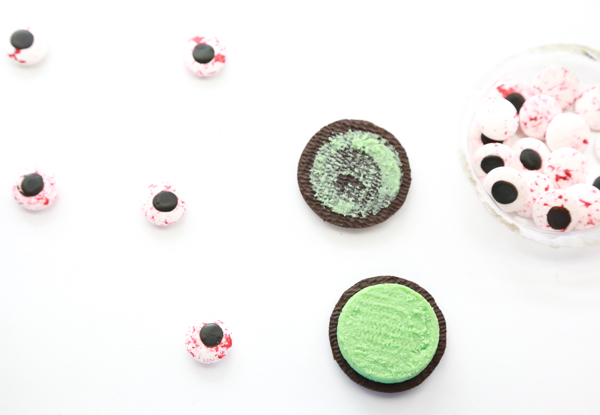 And there you have it – spooky Zombie Eye Oreo Cookies. 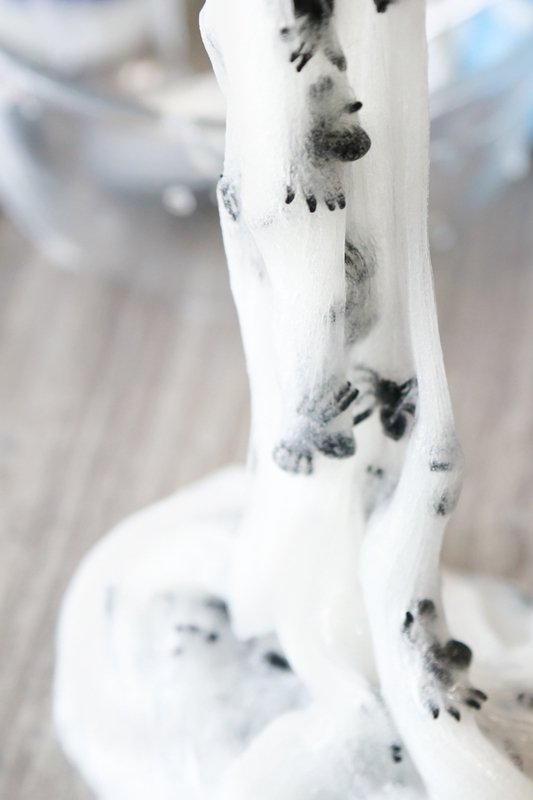 If you’re running short on time and need something for a Halloween party, whip up a batch of these! I mean, who in the world doesn’t love Oreos? 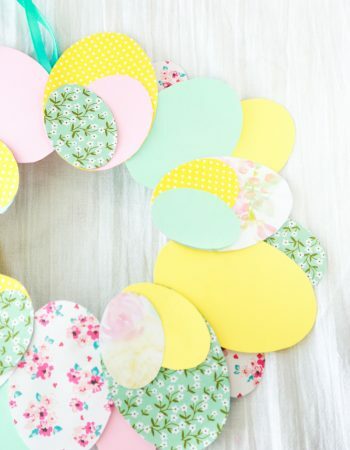 Don’t forget to pin these to your favorite Halloween board on Pinterest. Sharing is caring! Remove one side off of each Oreo cookie and set aside to use for something else.